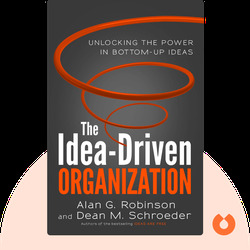 The Idea-Driven Organization by Alan G. Robinson and Dean M.
The Idea-Driven Organization explains how organizations can position themselves for long-term success by encouraging innovation at every level of the business. 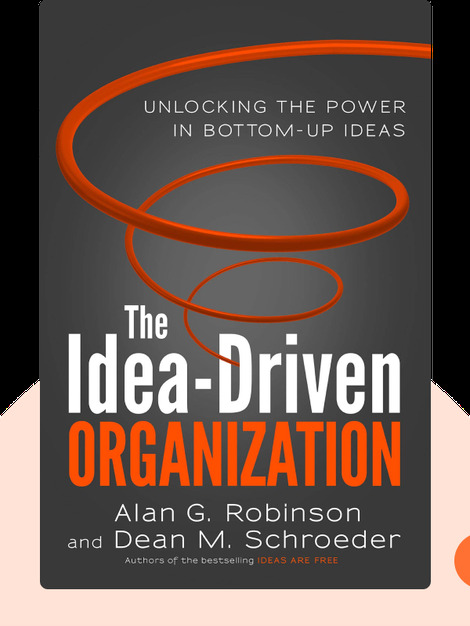 Although most companies think that creativity should come from above, that is, from managers and experts, idea-driven organizations are powered by bottom-up innovation. Alan G. Robinson is an author and business advisor who has worked with over 200 leading companies, including IKEA and Kraft. Dean M. Schroeder is a management consultant and author. His best-selling book, Ideas Are Free, was voted “Reader’s Choice” by Fast Company magazine.